Aloe Vera is part of the Xanthorrhoeaceae family and has its own genus. Native to Africa, this plant is now a popular house plant around the world. 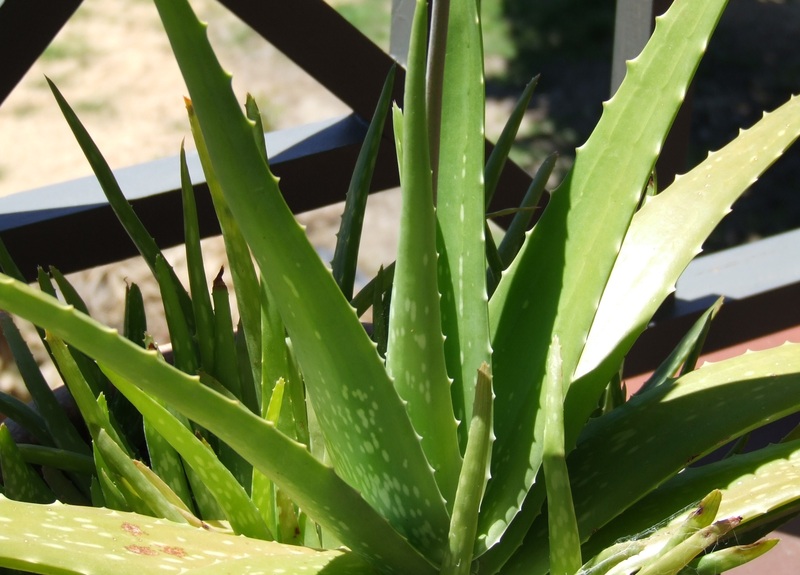 Folk names for Aloe include: Burn Plant, Medicine Plant, Saqal, and Zabila. Aloe is protcective and guards against evil influences as well as prevents household accident. In Africa, it is hung over houses and doors to drive away evil and bring good luck. The gel is used folklorically and the dried inner leaf juice pharmaceutically as a laxative. Most species have a rosette of large, thick, fleshy leaves. Flowers are tubular, frequently yellow, orange, pink or red, and are borne, densely clustered and pendant at the apex of simple or branched leafless stems. (Jesus Christ what a sentence!) Many species appear to be stemless, with the rosette growing directly at ground level; other varieties may have branched or unbranched stems from which the fleshy leaves spring. They vary in color from grey to bright green and are sometimes striped or mottled. Aloe can be used as: Abortifacient (drug to cause abortion or contraceptive), analgesic (painkiller), anti-aging, anti-alcoholic, antibacterial, anti-inflammatory, antiplaque, antiseptic, antiviral, anti-wrinkle, bitter, collagenic, depurative, digestivem fungicide, hemostat, hypoglycemic, insecticide, laxative, moisturizer, stimulant, and tonic. Aloe is used to treat: abrasion, abscess, acne, alcoholism, alopecia, anemia, asthma, bacteria, bleeding, blindness, boil, bruise, bug bite, burn, cancers, childbirth, colic, constipation (in adults), cough, dermatosis, diabetes, eczema, epilepsy, fever, frostbite, fungus, glaucoma, hemorrhoid, herpes, high cholesterol, hyperglycemia, hysteria, indigestion, infection, infertility, inflammation, itch, jaundice, leukemia, mouth sore, pain, peptic ulcer, psoriasis, radiation burn, rash, rheumatism, ringworm, salmonella, streptococcus, sunburn, swelling, syphilis, tuberculosis, tumor, ulcer, virus, wart, worm, wound, wrinkle. Do not take aloe if you are pregnant or lactating. It may cause allergic dermatosis. Do not self medicate without consulting a dosage guide.